The Luxembourg Space Agency and the Space Frontier Foundation are organizing the 2nd NewSpace Europe conference on November 27 and 28, 2018 in Luxembourg City. Luxembourg and the Republic of Poland signed a memorandum of understanding to start bilateral cooperation on space activities with particular focus on the exploration and utilization of space resources. The Government of the Grand Duchy of Luxembourg and the Czech Republic signed a memorandum of understanding on a cooperation in the frame of space resources exploration and utilization. The Mining Space Summit is a one-day workshop organized to foster the increasingly vibrant dialogue around the development of the space resource utilization sector. 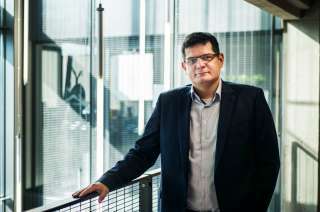 The arrival of Made In Space, Hydrosat and CubeRover further widens the spectrum of activates of the Luxembourg business-oriented space ecosystem and reinforces the Luxembourg space capabilities. 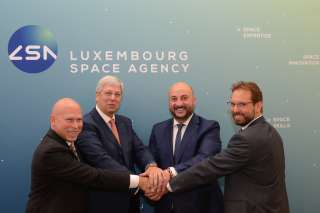 The Luxembourg Space Agency officially launched operations today with the goal of promoting the further economic development of the Grand Duchy’s space industry by attracting businesses, developing human resources, providing innovative financial solutions and supporting educational and research infrastructure. 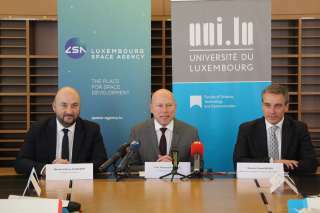 The "Space Research Program" will provide funding for national public research institutions and Luxembourg based companies. 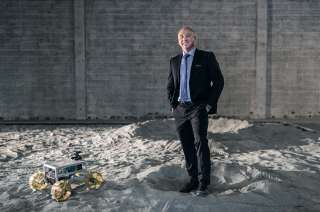 Luxembourg-based company, Kleos Space S.A., has successfully closed 6.96 Mio EUR (11 Mio AUD) in funding and will begin trading on the Australian Stock Exchange.